In the United States, about 23.4% of children under the age of five receive childcare from someone other than a parent. 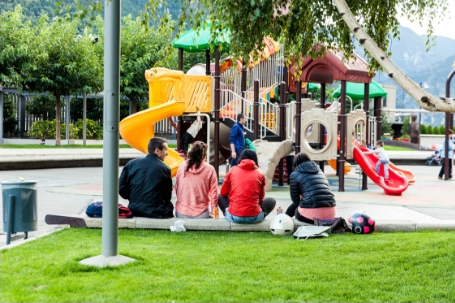 Most parents work outside the home and must rely on daycare centers or other programs to look after their child with care as the parents would. Leaving your child with a group of professional care givers should be an easy transition and one would expect nothing but the best quality care for their child. The shocking truth however is that multiple stories are surfacing which is throwing a monkey wrench in the idea of trusting the daycare centers with your prized possession. We simply trust that these paid professionals would be an extension of us parents and would pay attention to detail as if it were a life and death situation. In fact that is exactly what it is, and various cases are showing an ever so increasing number of child fatalities in daycare at the very own hands of the staff we are trusting with our child's life. Are we asking too much from these daycare centers? Is it too much to expect to get your child back in the same condition they were received? This is mind boggling and one should be asking, who’s really minding the children? What Are Some Of The Common Causes We See In Dallas Daycare Negligence cases? Injuries caused by other children. Daycare centers and their employees have a delicate job to attend to and they are held to a different level of expectation. When they fail to meet such standard of care, they are acting negligently and should be legally accountable for such negligence. In Texas, the Department of Family and Protective Services (DFPS) designed the Minimum Standards for Child-Care Centers. Daycare centers are required to follow at least these “minimum standards” in order to mitigate risks for children and to establish a safe setting that is conducive to children’s learning, health, and well-being. These childcare minimum standards set staff-child rations and training requirements for childcare facilities. Research shows that appropriate ratios and group sizes are critical in promoting optimum child development. Properly following all mandated state childcare laws. Furthermore, make sure to ask them about what their top 5 priorities are for caring for the child and run for the exits if one of the 5 does not mention the importance of keeping all children safe and well observed. It is also crucial to be aware if the daycare center is exceeding the prescribed “minimum standards” allowed for daycare centers. Following this helpful guide is the parents duty to better ensure that their children will have the proper care they need. 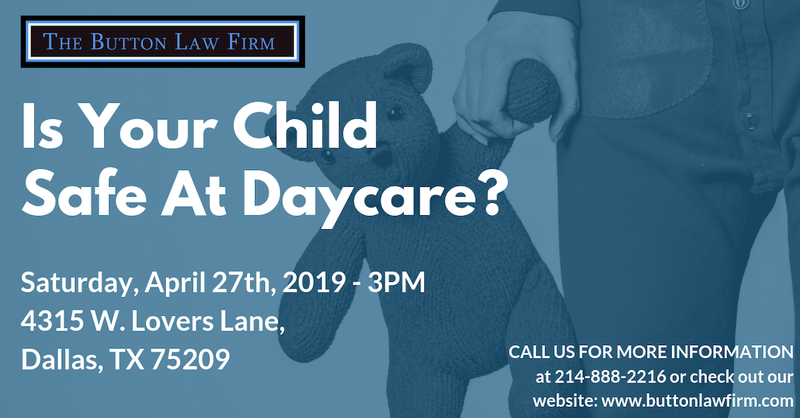 Want To Learn More About What To Do IF Your Child Was Injured At A Dallas Daycare? importantly help you to take action and get you the compensation you deserve. Our daycare negligence team is ready to handle all your needs and answer any questions you may have. When your child is hurt or worse, the last thing you want to do is deal with the legal side. Let us guide you through this process so you can focus and attend to your family in this difficult time. 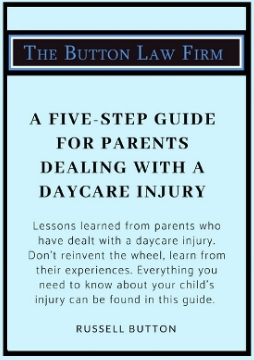 If you are not ready to speak to an attorney at the moment, we suggest you check out our FREE guide for parents dealing with a daycare injury. I will link it below. You'll be able to download an e-version after filling out the form. If you are interested in a paper copy being sent to your home, make sure to let us know!